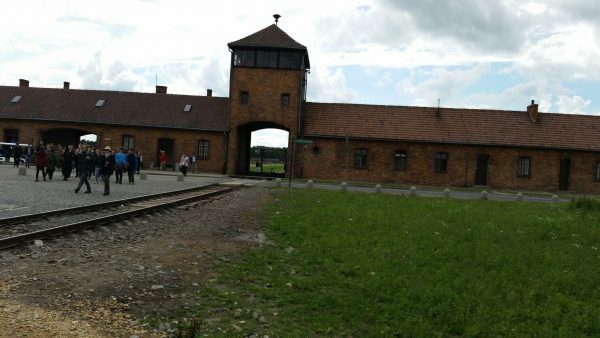 A traveler overcomes her own fears when confronted with the bravery of those who survived Auschwitz. Once upon a time, I couldn’t walk around the block. I could barely step out onto my front porch; had troubles going to Walmart; couldn’t set foot in the public library. Heck, I barely felt comfortable in my own skin in my living room. So forget traveling or meeting new people. Every night for 10 or so years, I slept in my own bed. My home had become my prison. What had begun as anxiety attacks and depression spiraled into full-blown agoraphobia. Of course, as a teenager I had no idea what was wrong with me. By the time I did figure it out, I was in so deep I didn’t know what to do to climb out. My dream was to be a novelist and see the world. Agoraphobia is very inconvenient for a dreamer like me. My grandmother used to say, “This too shall pass.” And it did. Some years were better than others, and I was improving when my Dad suddenly died. That sent me into a tailspin. After his death, I realized I couldn’t continue on the path that I was on. It wasn’t fair to my loved ones or to me. Once I got on a good medication, something clicked into place. The shroud of anxiety and depression began to lift. I got a part time job, started to learn how to drive and had interests outside of the home. Over the years, I had heard about Eva Mozes Kor and her tours in Auschwitz-Birkenau and Krakow. The Holocaust had always interested me, to the point where I wrote a novel about it. As a girl, Eva Mozes Kor and twin sister Miriam were the subjects of several horrifying experiments by the infamous Dr. Josef Mengele. Despite that, the girls survived and thrived. After her sister’s death, Eva made the conscious choice to forgive Mengele and the Nazis for what they had done to her and her family. Only through forgiveness did she find healing. So I signed up to join her tour in June of 2015. I wanted to do something extraordinary. I wanted to be brave. He was one of the reasons I dreamt of seeing Europe. When he was in his twenties, he visited England, Scotland and Ireland. And then when my grandfather was in his twenties, he too was in Europe… although he probably didn’t enjoy it. He was fighting in WWII, after all. My sister and aunts contributed much moral and some financial support. Everywhere I turned, people were excited for me. Considering where I had been before, trapped between four walls, this was to be a great leap. An adventure of a lifetime. The plane rides went smoothly. Setting foot in Krakow was like passing through the wardrobe and into the magical land of Narnia. Horse-drawn carriages majestically rolled down the streets; in the Main Market Square there were performers, singers, contortionists and people in folk costumes. Periodically throughout the day, a trumpet could be heard from the tower of St. Mary’s Basilica. Everyone would stop what they were doing and wave. We spent three days during that week-long tour in Auschwitz-Birkenau, exploring every inch of it. 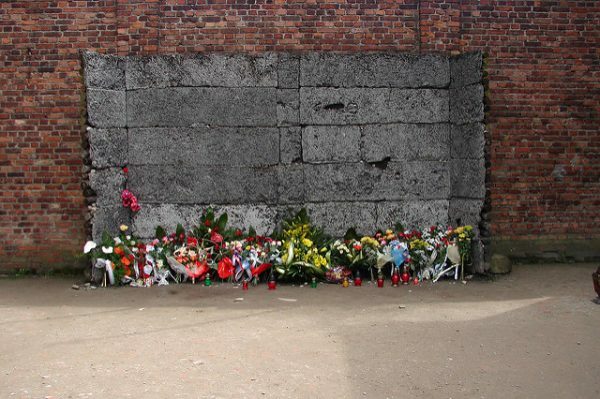 As I walked the grounds of the infamous death camp, I was numb. Some had more emotional reactions, but as for me, I was shut off from my feelings. For the greater part of that first day, it was cold, damp and cloudy. Off and on, Eva would talk to God and ask Him to send us a little sun. I was a little surprised since some Holocaust survivors are atheists. One cannot be in Auschwitz and not think about God. As a Christian, he had been on my mind a lot during this journey. Since we were welcome to ask Eva questions, I thought I’d pose one.